We find these 5 geometric house designs fascinating. Despite the techy sounding name they are ergonomic, beautiful and unexpected. It takes skill and out-of-the-box thinking to create such sophisticated designs. And all are made in wood which makes them even more exiting. 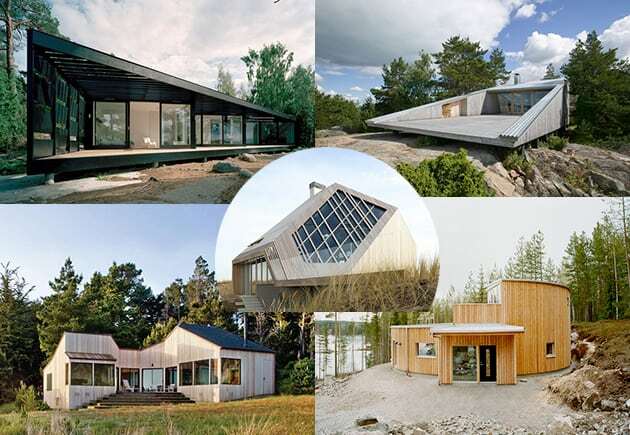 Check these homes out and let us know if you agree with our assessment. We just love this house design. The cascading rooms, all share the same covered deck with gazebo style roof and all have a view of the Baltic Sea. 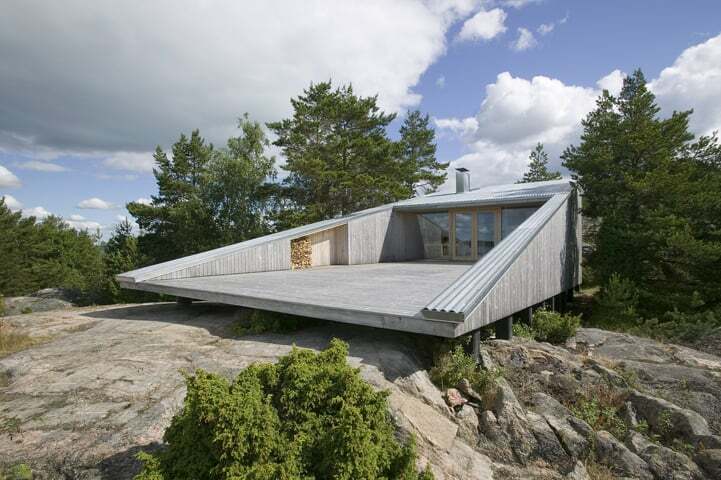 This modern Swedish summer cottage may appear triangular in shape at first but it’s actually has a geometry of a parallelogram – see the architectural plan below. The geometry of the plan was mandated by the specifics of the site – the house had to be fitted into the flat surface between two mountain rocks and have enough sunlight and, of course, the beautiful views of the sea. 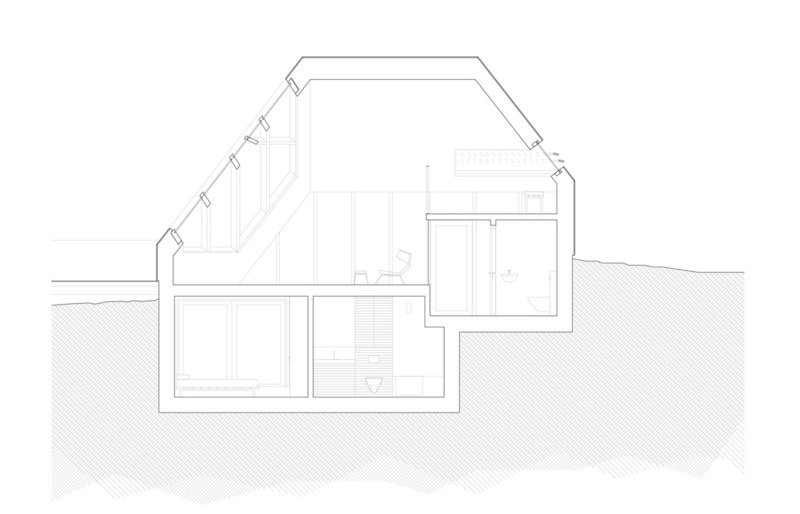 The zig-zagged layout of the staggered rooms also creates a series of outside places (voids in the overall parallelogram) sheltered from the strong winds. 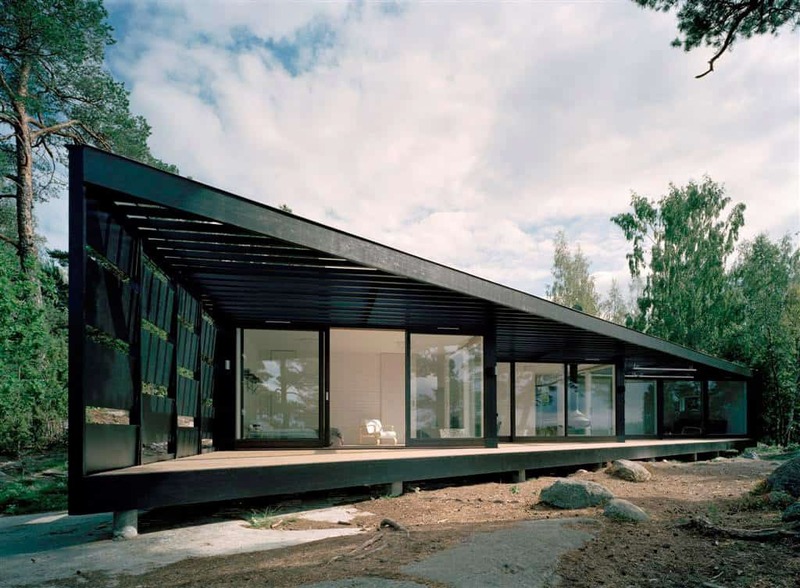 Conceived by Tham & Videgard Hansson Arkitekter, the home is located among the islands near Stockholm, Sweden, and follows the popular Nordic trend of dark wood cladding. 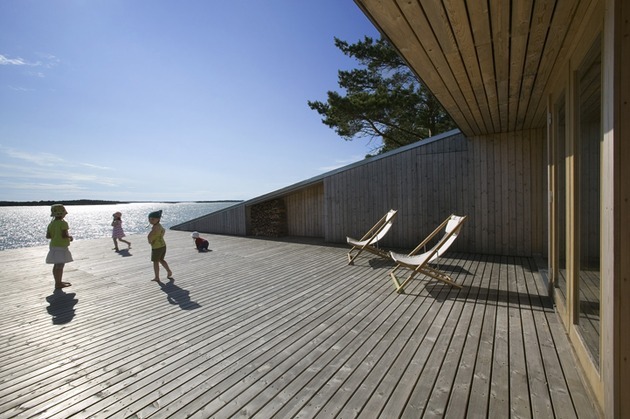 The small bedrooms placed in the back, with the social areas overlooking the seaside. 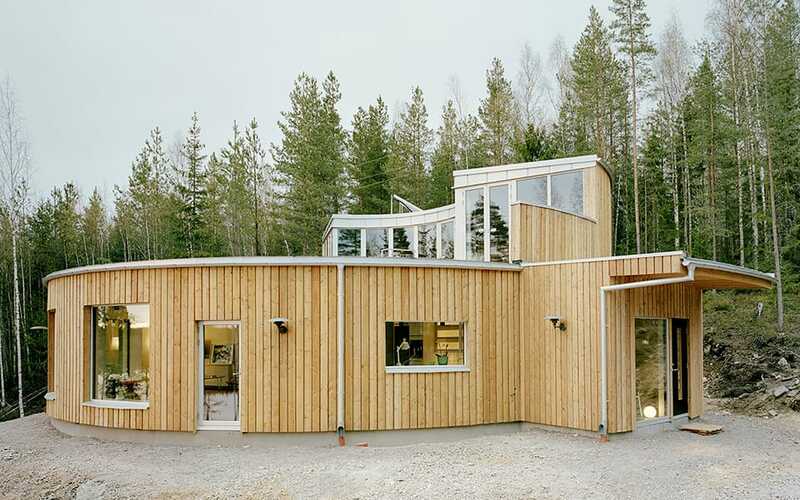 This Scandinavian cottage is a light weight construction in wood and glass. The next design below follows a somewhat similar concept with the idea to extend certain parts of the house to form an enclosed space, in both cases the deck. This next house (below) is easily one of the most beautiful wooden designs we’ve seen, and it’s named after its geometric form – the Wedge. 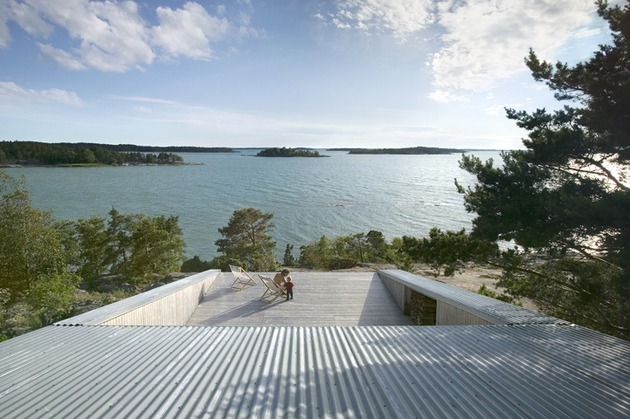 This Finnish lake house, compact and wooden, is set on the water edge. 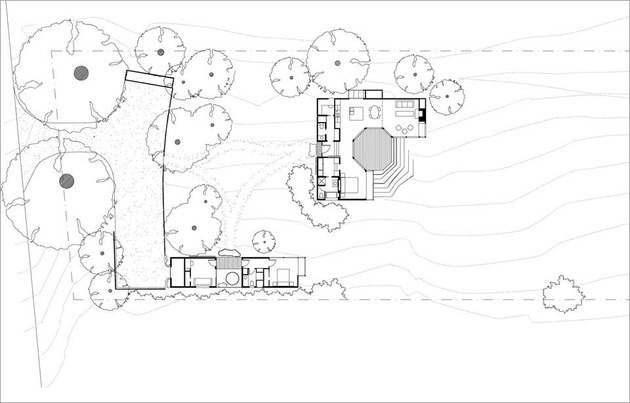 But it’s best feature has to be the way the house extends out into the rock hill. 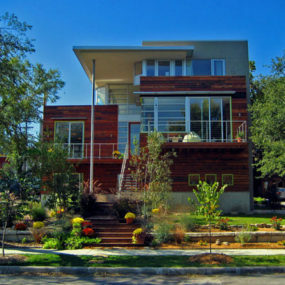 It’s modern and daring and aesthetically pleasing. As the untreated wood turns grey, it echoes the color of the rocks. This modern house on the rocks totally rocks, as a matter of fact. www.h-l-p.fi. I’m sure I’m not the only one who is mesmerized by this simple but stunning geometric shape. I like the way the wedge form leads you down the mountain and into the water. When on this deck, you feel like you’re outdoors but you’re also inside the walls, and you feel ‘protected’. And that is why people build homes – to feel protected. A great idea, especially if you have kids. 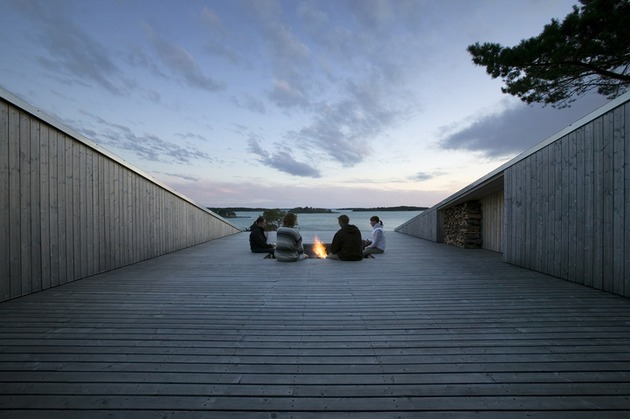 The sunken fireplace built right into the deck and can be closed hidden and unobtrusive. The weathered grey cladding can remind of the driftwood which you can find plenty of on the Northern lakes. But enough with the sharp objects. 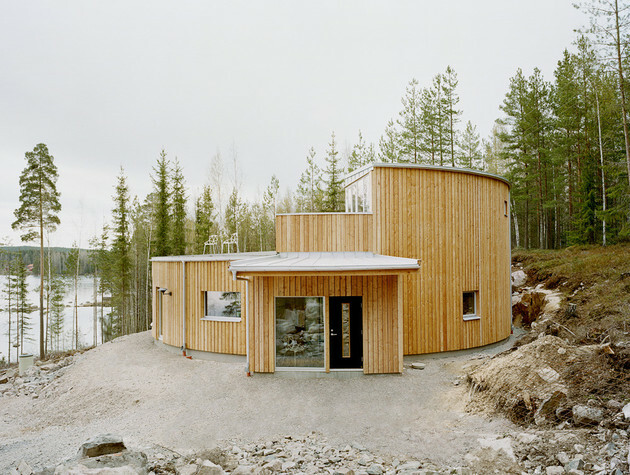 This next home (the Villa Nyberg below) is a wood-clad cottage shaped like a doughnut, with a hole in the middle. Yes, there is an actual opening in the center, from the ground floor up. It’s an amazing sustainable design of a lake house located in Sweden. 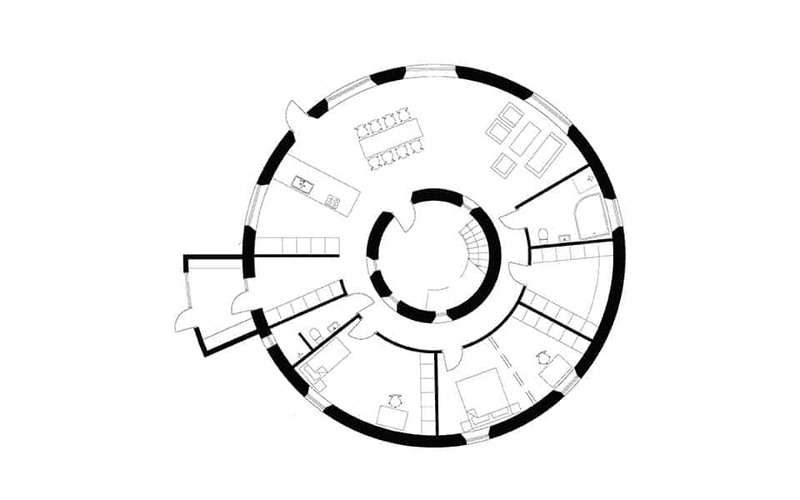 It’s not a circle, it’s a ring, with all interior rooms positioned within the width of the ring, and radially to the circular interior courtyard in the center that contains a ladder going to the observation terrace on the roof. Wow. 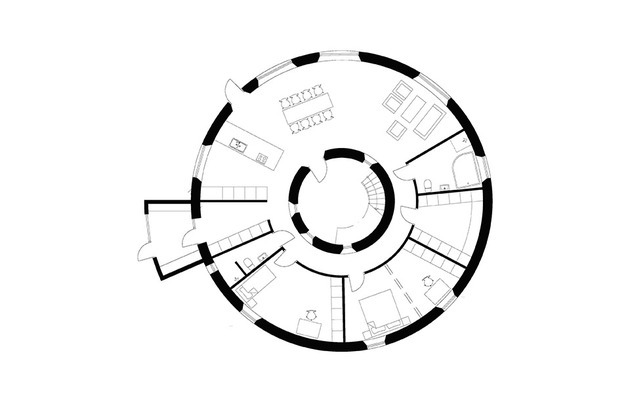 At least three design goals were achieved with this unusual architecture: reducing wall area, avoiding cold or warm spots (basically an even air temperature distribution) and creating a connected, communal environment. kjellgrenkaminsky.se. 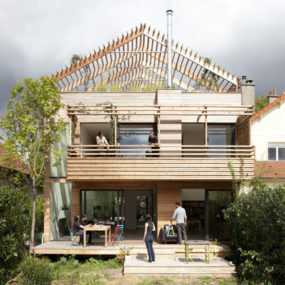 The floor plan is designed according to the sun movement over the day and the horizontal roof is clad in solar panels. 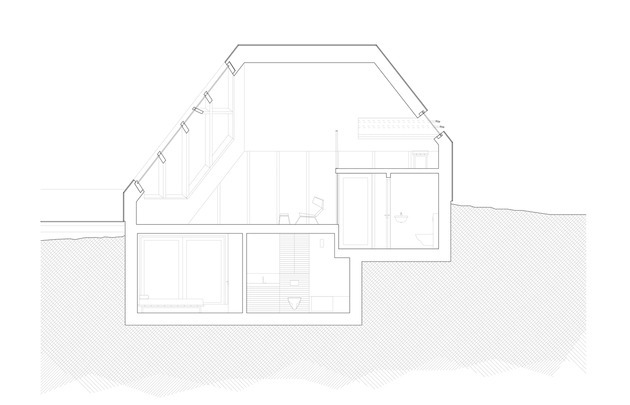 This small house produces enough energy to be classified as a passive solar home. As according to the architect: “With great technical skills and courage, we managed to create a building many thought was impossible – a round passive house with a hole in!” What a fascinating design! 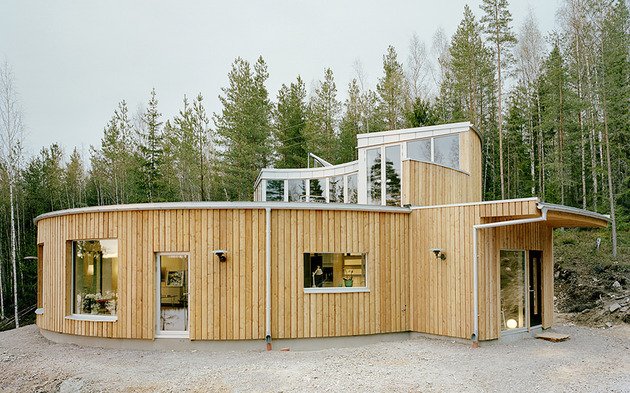 Though it was tailored to the needs of the owners, this design is essentially a prefabricated timber house, and the architect’s intention is to make this sustainable building technique available for all. 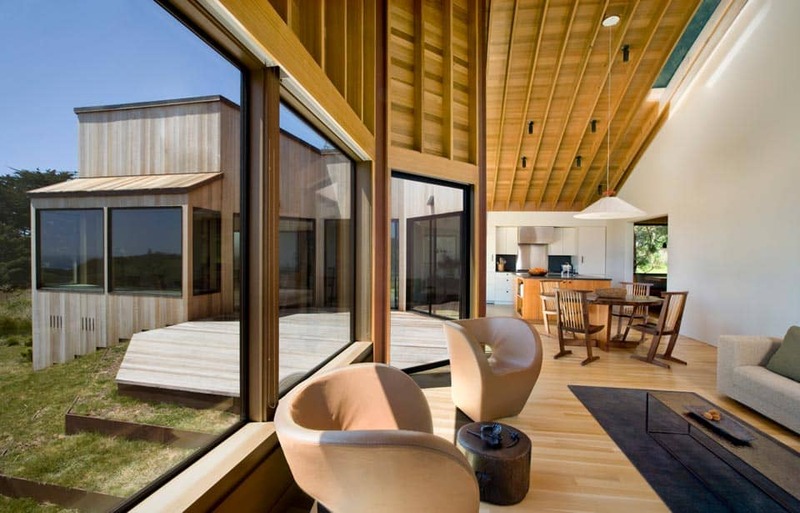 Despite it’s earthy wood-clad appearance (see below), this is totally futuristic, hi-tech house design inside and outside. Not only the intention here was to mimic surrounding dunes and enable the best sea views but also to make the house energy sustainable. And the turtle roof with glazings is an amazing architectural detail by itself. 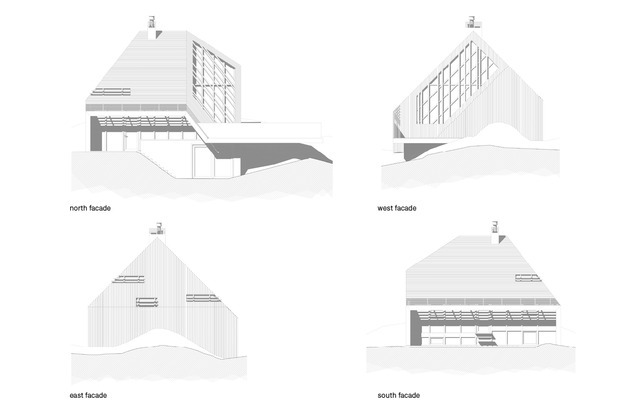 The roof geometry is so 3D it’s hard to grasp right away how it’s designed. 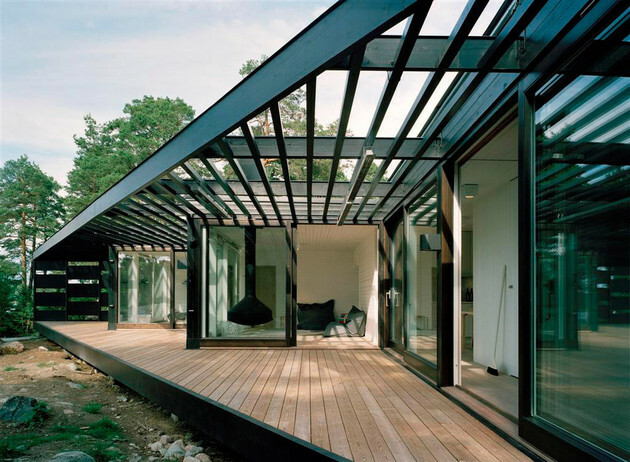 And notice how on one side the roof actually becomes a wall, connecting to the deck. Is this a roof or a wall? 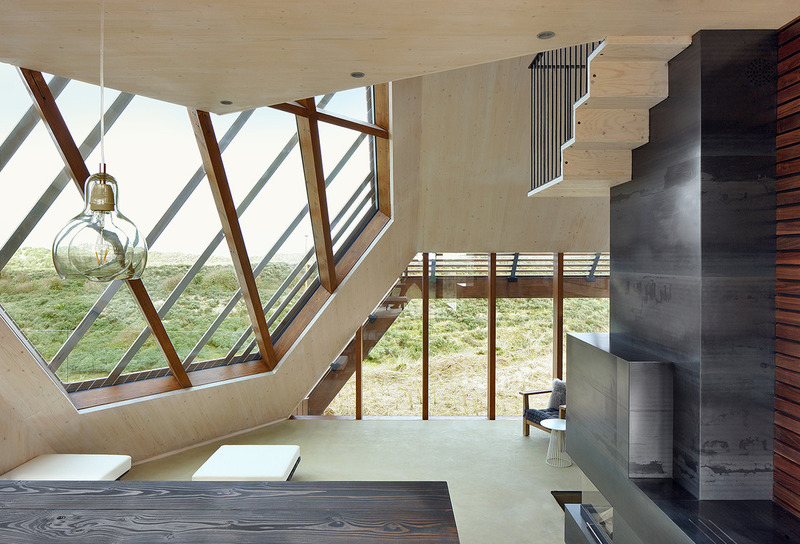 The interiors are even more fascinating – they are futuristic and cozy at the same time. 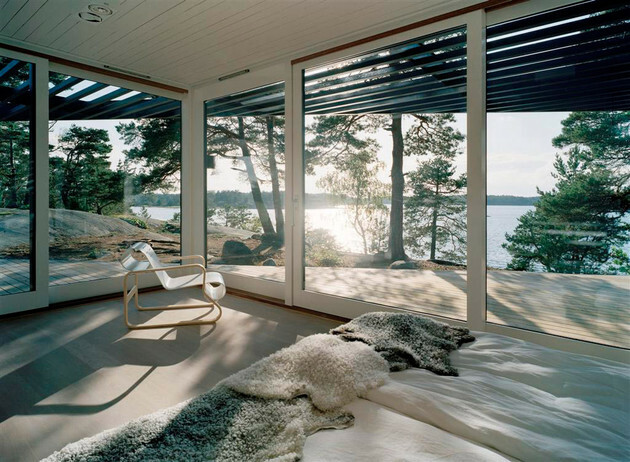 There are many interior architectural elements that seem to intertwine but that is only an illusion. 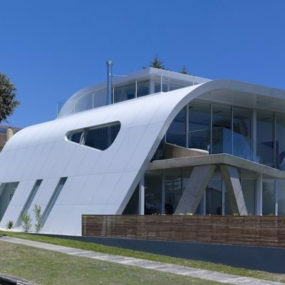 I can only imagine what it’s like to live in this amazing house. It’s a small wood home but it boasts many cool features, like the futuristic central fireplace, the partially suspended staircase, the modern hanging chairs, the two lofts (not one but two lofts on different levels), and of course, the living room nook overlooking the sea through a huge window wall. BTW, the geometry of this wall alone is worth the excitement. 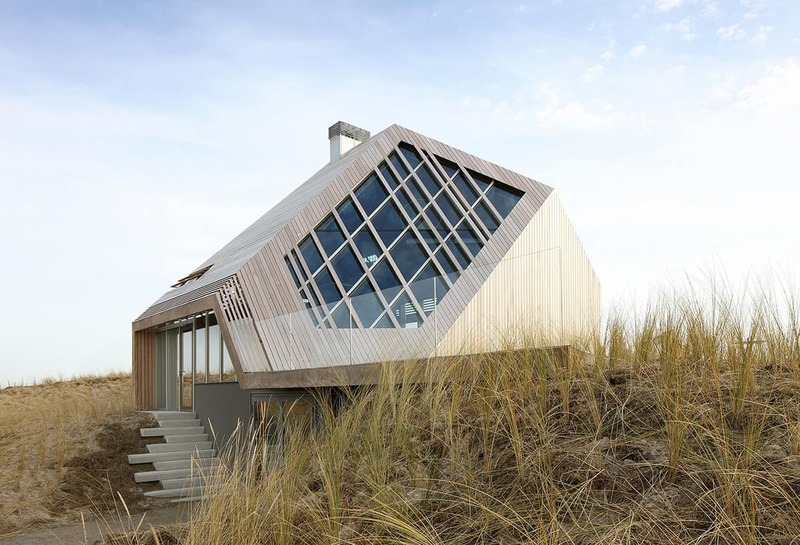 Not many lines are horizontal, vertical or even in this home profile, not even in the windows framing … but the overall harmony is undeniable. marckoehler.nl. 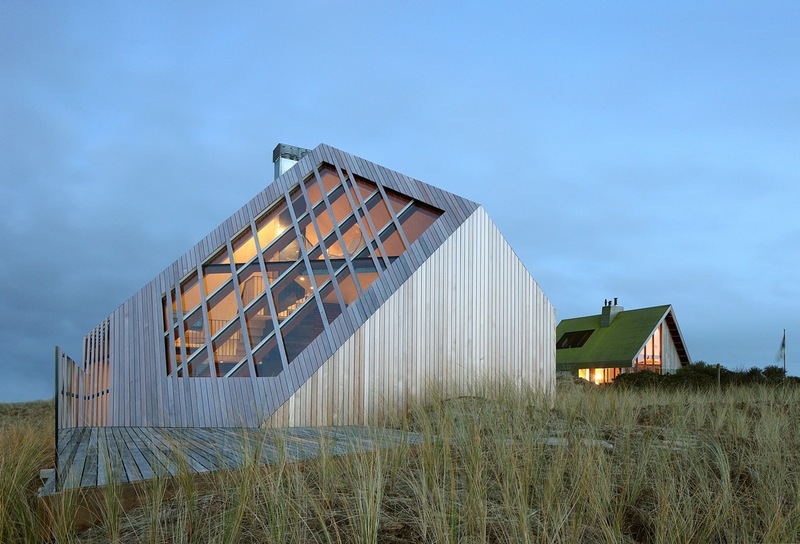 The siding planks cross the glass and continue uninterrupted forming the decorative pattern. The unevenly distributed ‘cutouts’ look like they were cut out on the CNC machine, they are so geometrically complex. But the look is so aesthetically pleasing. This window frame was most likely custom made to fit a specific number of planks within its width. Wow! Designs like these are only possible with the sophisticated computer aid, and now I understand what they mean when they say that virtual reality tools will be used by architects, starting about now. You got to be virtually inside of the structure to decide on the best locations of the floors and walls and to determine where should they intersect. 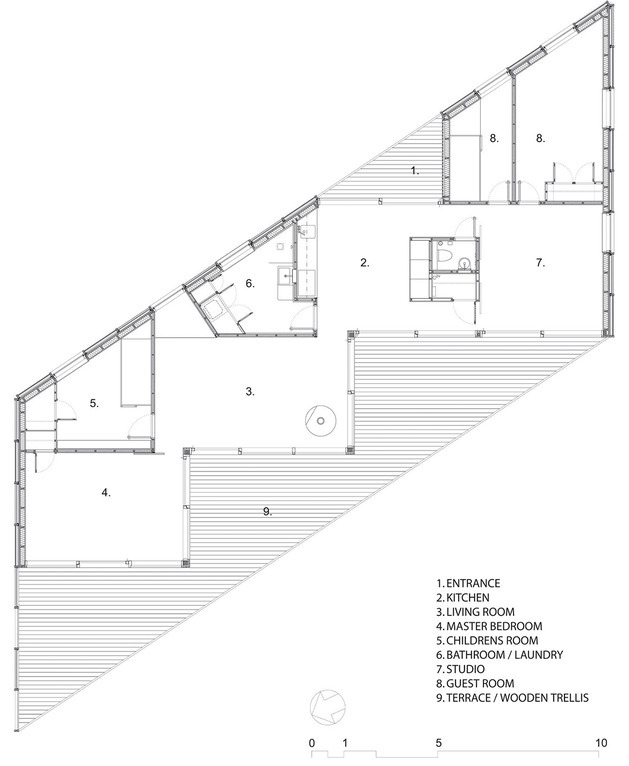 And how many cross-sectional view drawings did it take to specify each and every dimension, to pre-cut the wood to actually construct this house. Of course, I understand that the current CAD systems allow you to see how all planes intersect and will dimension it for you accordingly … but still you need to select the base points yourself, and it’s difficult to do when there are only a couple of straight planes in the entire structure. 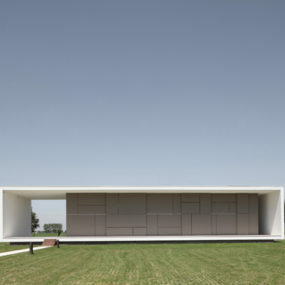 I can think that this house was prefabricated and pre-assembled in a warehouse before constructed at the actual site. It could have been done similarly to how they do it with the log homes when logs are each tune-cut to its spot, put together, labeled, then disassembled, delivered separately and re-assembled again according to their labeling. 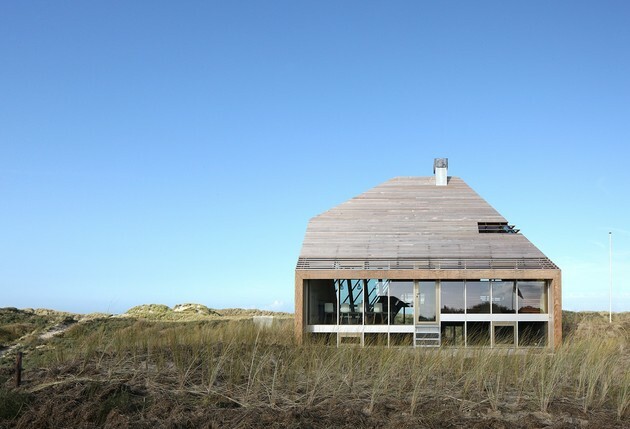 And did we mention that this modern turtle roof wood cottage is heated by bio-fuel. 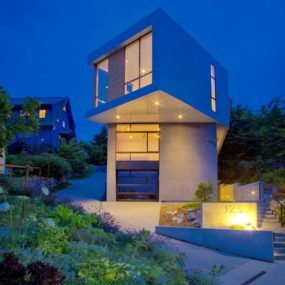 There is always that dilemma: how do you build a home that offers the best views of the ocean and is compact and comfortable to live in it. 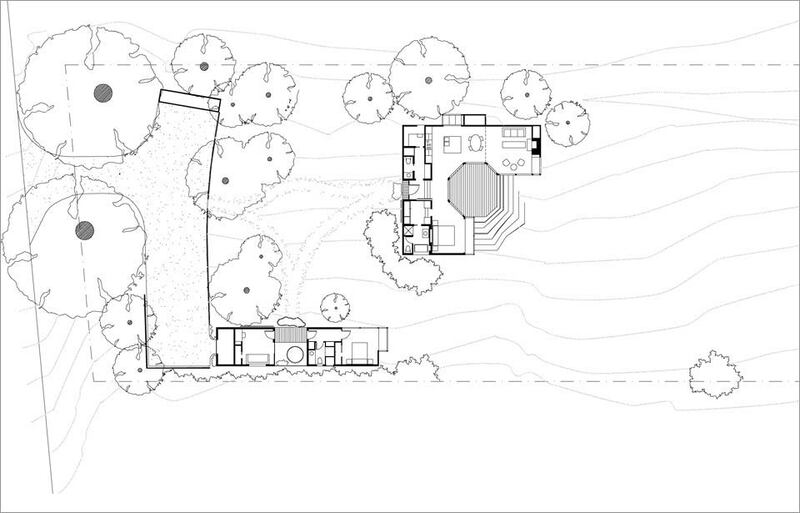 This next home design (below) has found the solution – a ranch style architecture built around octagonal deck. 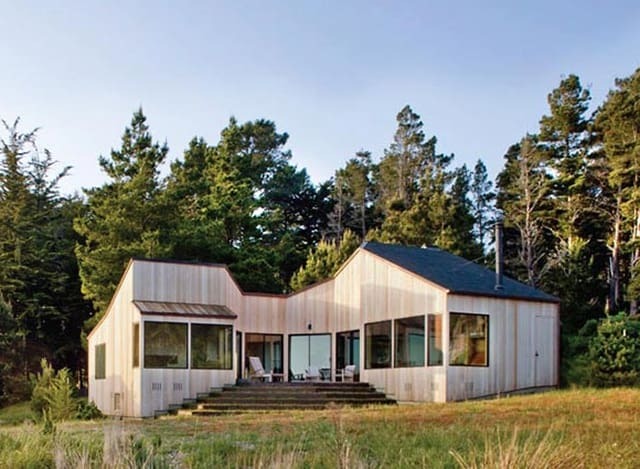 This natural wood home is set on the Pacific ocean near San Francisco. 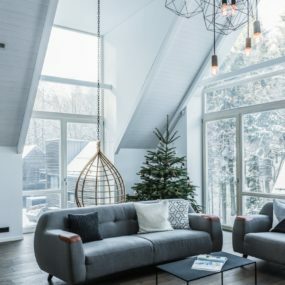 tgharchitects.com. We love the octagonal shape, the simple Japanese style. 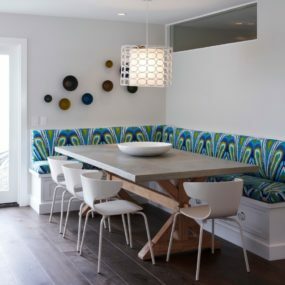 And it’s got a cool breakfast nook and bedroom window nook – lots of little touches. You don’t have to be a big house to have big features!